Dong Jiahong, executive president of Beijing’s Tsinghua Changgung Hospital and former head of the Chinese People’s Liberation Army General Hospital, has been dis-invited from the China-Israel Innovation and Investment Summit, following complaints about his suspected participation in forced organ harvesting of Chinese prisoners of conscience. The high-profile conference, organised by the Chinese and Israeli governments, is being held in Haifa, Israel’s third-largest city, between November 18 and 20, 2018. As with the six previous summits, participants include Chinese ambassadorial staff in Israel and officials from the local Haifa and Israeli government, as well as experts and entrepreneurs in the fields of life science, cyber security, and artificial intelligence. Dong planned to attend the conference as a medical specialist, but the Haifa Economic Cooperation (HEC) withdrew his invitation because of pressure from the International Coalition to End Transplant Abuse in China (ICETAC) and other groups. ICETAC is a worldwide coalition of lawyers, academics, ethicists, medical professionals, researchers and human-rights advocates dedicated to end forced organ harvesting in China. Dong Jiahong specialises in hepatic surgeries and liver transplants. He is a committee member of the Chinese Transplantation Association. Along with former vice minister of health Huang Jiefu, Dong is a leading surgeon in the field of transplantation. Dong was listed by the World Organisation to Investigate the Persecution of Falun Gong (WOIPFG) as a possible participant in forced organ harvesting. A WOIPFG research report shows that Dong has been the lead surgeon for over 700 liver transplants. Between February 1999 and February 2007, he participated in 407 cases of harvesting livers from “donors” at Southwest Hospital, the first hospital affiliated with the Army Medical University, formerly known as the Third Military Medical University. The Chinese People’s Liberation Army General Hospital, also known as the 301 Hospital, of which Dong used to be the head, has been heavily involved in forced organ harvesting of prisoners of conscience, mainly Falun Gong practitioners. Between 1977 and August 2009, the hospital performed more than 2,159 transplants. China’s Ministry of Health elevated it to a designated hospital for liver and kidney transplants on May 23, 2007. As the demand for organs for transplants increased, the armed police, military, and hospitals in China found a new way to make money – killing prisoners of conscience for their organs. Because of the nationwide policy against Falun Gong, there were no repercussions for those involved in organ harvesting crimes. News of forced organ harvesting first broke in 2006. 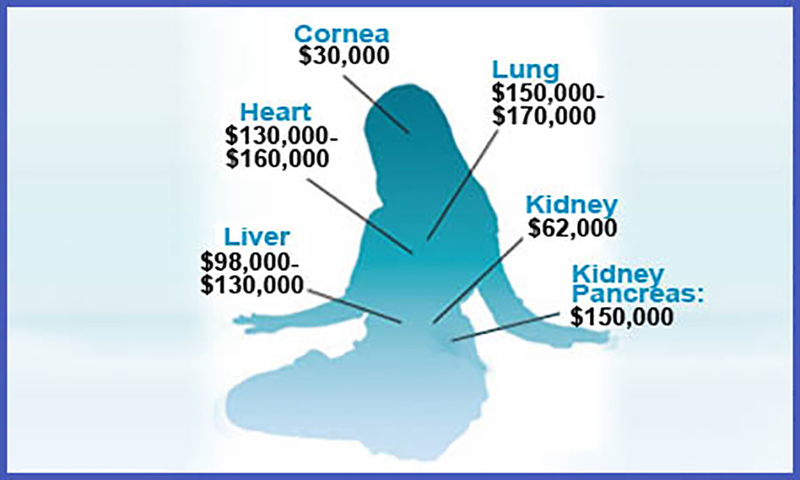 Prices for organs, charged to foreigners, range from $30,000.00 for corneas to $180,000.00 US for a liver/kidney combination, according to the David Kilgour and David Matas report Bloody Harvest: Organ Harvesting of Falun Gong Practitioners in China (Revised report). Falun Gong practitioners constitute the majority of the organ harvesting victims, as they comprise the largest group of prisoners of conscience, and additionally, tend to be in very good health due to the healthy lifestyle associated with the practice. Thousands of investigative phone calls conducted by WOIPFG revealed that forced organ harvesting was launched on the direct order of Jiang Zemin. Jiang is responsible for the direction to “militarise and commercialise” the business of killing Falun Gong practitioners for their organs. The People’s Liberation Army General Logistics Department was the core organisation for the organ harvesting functions, in charge of the management and allocation of “donors” – mainly detained Falun Gong practitioners – as targets of forced organ harvesting. The CCP military and armed police hospitals became the main hospitals for organ transplants. Ever since the news of forced organ harvesting broke in 2006, non-governmental organisations, governments, pharmaceutical companies, and the international medical community have taken notice and implemented actions to address the issue. Among its recommendations, H. Res. 343 requests that the House of Representatives encourage the United States medical community to help raise awareness of unethical organ transplant practices in China. The European Parliament passed a resolution in December 2013 to condemn and call for an end to forced organ harvesting from prisoners of conscience in China, the large majority of whom are Falun Gong practitioners. At the 23rd International Congress of the Transplantation Society in Vancouver, Canada, attendees expressed grave concerns concerning forced organ harvesting from Falun Gong practitioners. Amnesty International called for pharmaceutical companies to stop their clinical testing of organ anti-rejection drugs in China. The global drug company Novartis announced, according to a newspaper report published August 15, 2010 , that it was adopting such a moratorium and would work to unite all pharmaceutical companies on the issue. During the European Organ Donation Congress in Cardiff, Wales, in September 2010, the issue of killing Falun Gong practitioners on demand for their organs also gained attention. Ever since then, the Congress has stopped inviting Chinese surgeons. Have you joined the Chinese Communist Party? Have you participated in persecuting Falun Gong practitioners? This was the first reported case of American immigration officials inquiring about certain issues directly to a Chinese immigrant. Have you ever been directly involved in the coercive transplantation of human organs or bodily tissue?